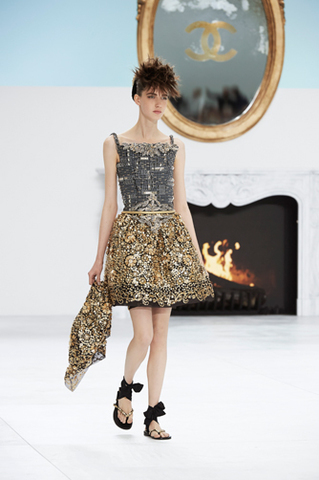 Chanel brings back the regal age of Baroque period with their F/W 14-15 collection. 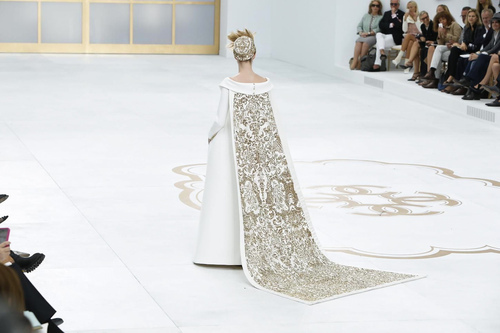 Some of the pieces are made of golds and reds while others stayed true to Chanel’s black and white palette. I have a knack for carefree and classy clothing, and Chanel’s latest collection gives me no option but drool over those pretty, laid-back dresses. Karl Lagerfeld impressed me a lot because I’m not a fan of Chanel (except for their Mademoiselle EDT which is beyond gorgeous!) and by seeing this very collection, I just wanted to go to him and hug him if it weren’t because of his entourage and my lame French. 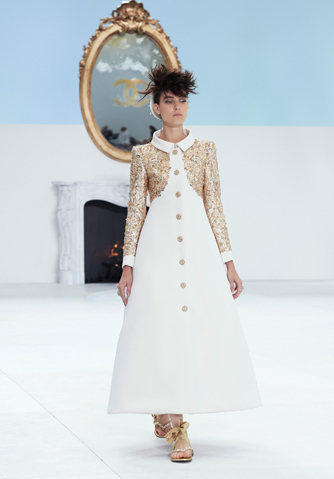 Lagerfeld incorporates the royal age with the modern fashion of today’s era. I love the dresses, period. But I don’t exactly know what to feel about the sandals with straps, it was paired with modern edgy hair and strong brows. 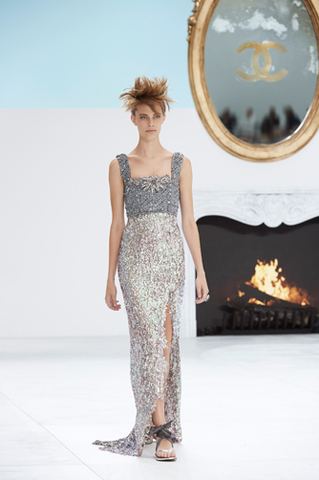 It looks so out of place but you won’t mind because the whole thing is perfectly packaged on the runway. 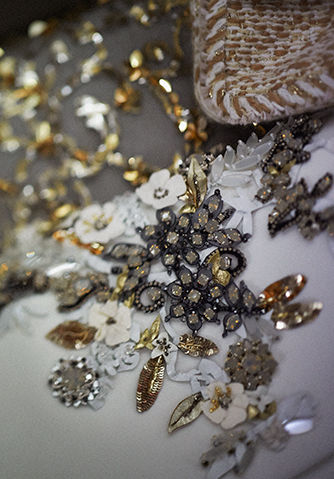 Each of these Haute Couture pieces are meticulously crafted and woven to perfection. When you look closer, everything is in perfect detail, which makes sense because the whole scene and ambiance in Grand Palais, Paris yesterday (July 8) is almost divine. My favorite is the last dress shown. It seems like a bridal gown but hey, it looks so enchanting and royal. look at all these details! So, what’s your favorite piece?